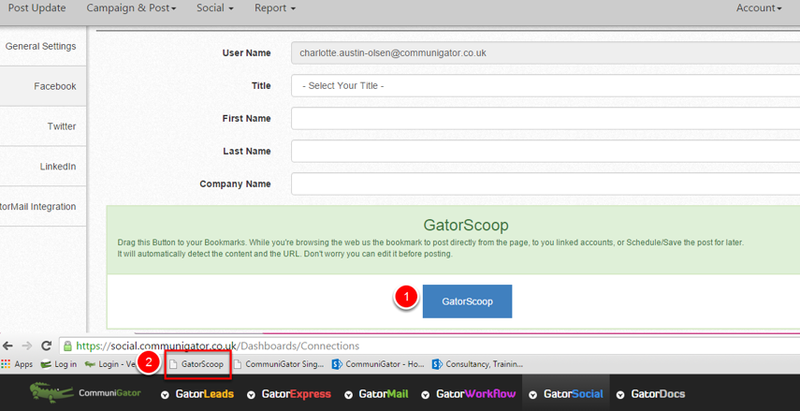 Post Web Pages From Anywhere using the GatorScoop Bookmarklet. 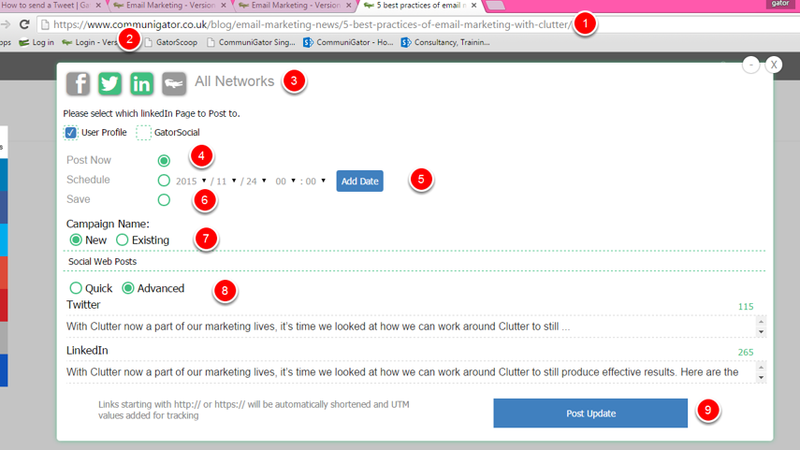 This allows you to post content straight from the page you are on. 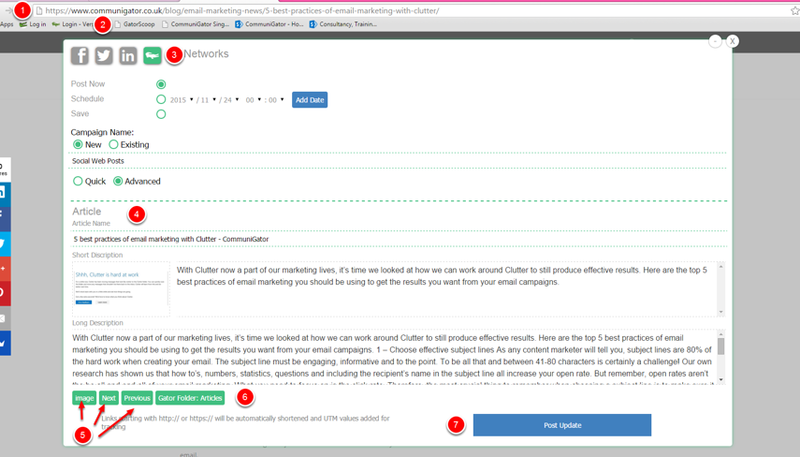 GatorMail Integration allows you to use the GatorScoop tool to pull through information from the page/blog into CommuniGator to create an article for you to use in an email. When image is displayed click next or previous so change the image of the article. To change the text click on the image button and the word text will display, using the next and previous button will change the short description. NOTE** if you double click into the short and long description text box you are able to manually change the content.